Discussion in 'Third Party Content' started by FuNK!, Nov 4, 2013. 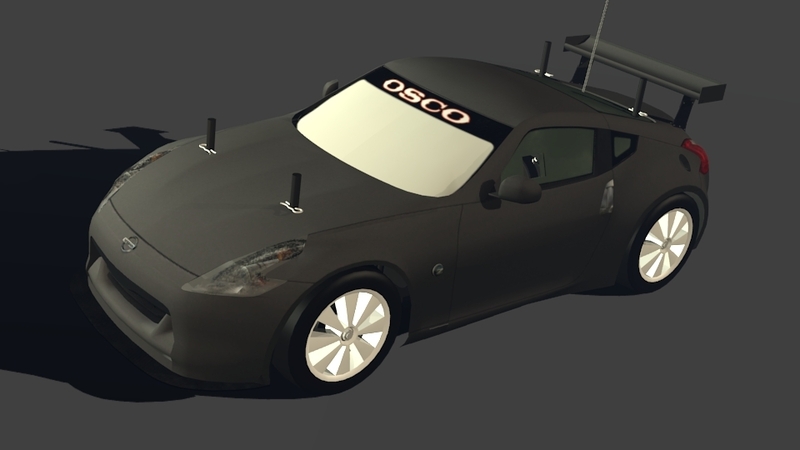 Currently my plan is to get the basic R/C body and a simple track (e.g. 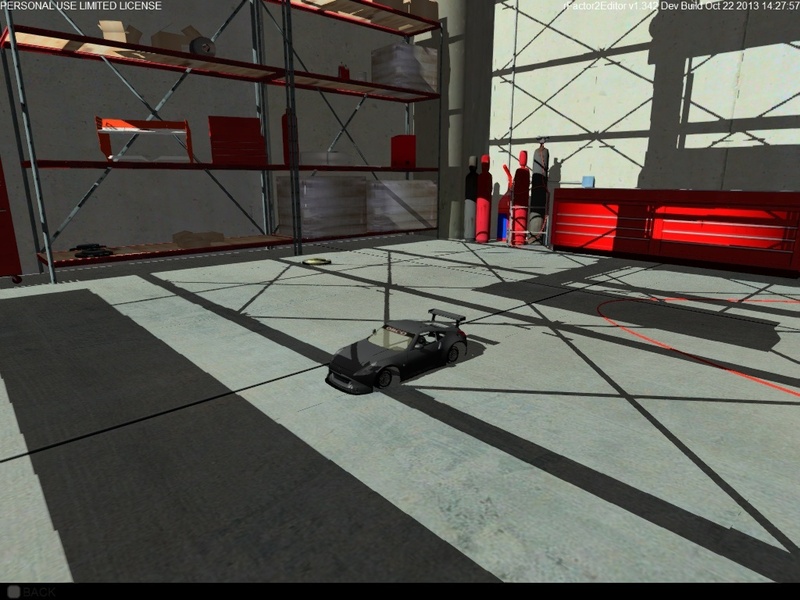 a simple flat warehouse using the parts I've build already) into the game and testing different camera options (never build up track cameras before) aaaand testing my R/C to USB adapter with rF2 . So far, so good. Now after this little introduction I want to ask some various questions! 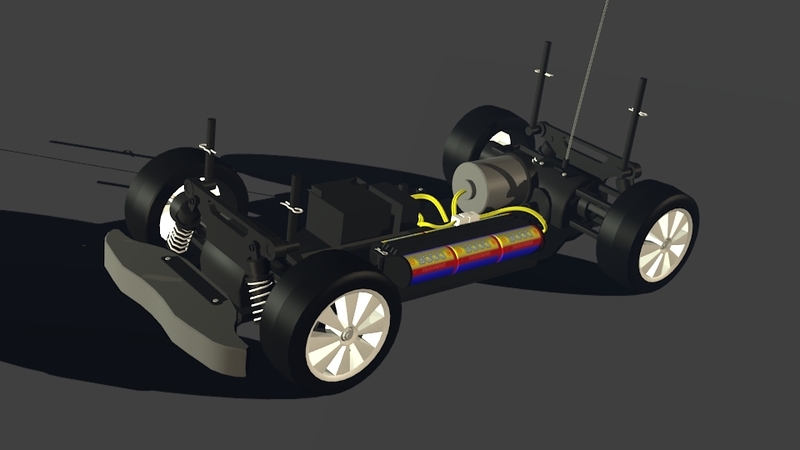 Who's willing to help or interested in a R/C simulation using rF2? 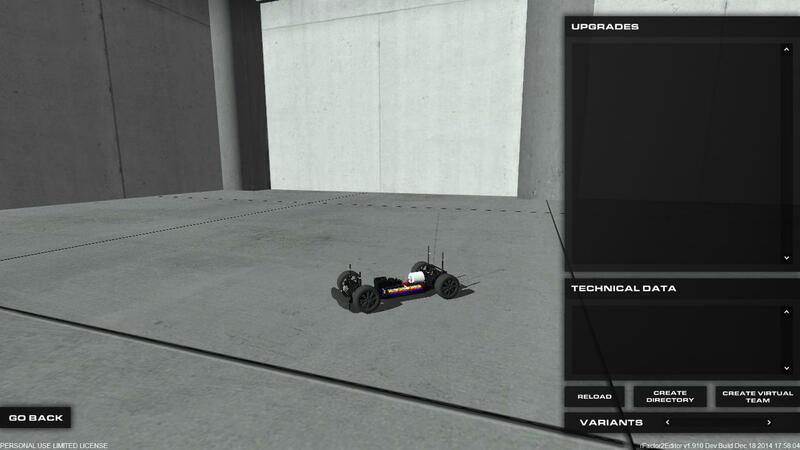 What's needed to change the physics from ISI Formula RC scale to 1/10 or other scales? Did you know that iSi has a R/C mod? It's the second to last item you can download on that page, under "Just for fun". I definitely will come back to this offer later thank you! 3, a lot of the variables have to be factored by a power of 1, 2 or 3. For example, being 10th scale, it's about 1/2 the size of a 5th scale, so, the vehicle mass is about 0.5^3, or 0.125x the 5th scale weight, about 1.4kg. Of course, you probably have better numbers for stuff like this, but it has to be carried through the PM file and inertia's are a little more complex and in general should be 0.5^3*0.5^2=0.03125x of the values used in the 5th scale, this is getting very close to the limits of the game engine so you can end up freezing rF2 at any moment. Which is why it's best to go slow with these things, start by softening things up, like springs and whatnot. Aero is about 0.5^2, however doesn't scale well, a lot of efficiency is lost at low reynolds numbers and any downforce is likely to be almost nothing. Most importantly, the tyres need to be redone, AFAIK 5th scale tyres have belts in them, 10th scalers usually don't, so should be relatively easy to make, we could probably include them in the next lot of 'TGM example' files whenever they get released. 4, the body on the 5th scale car is probably a little bit too small. First, thank you Michael for your help! Looking forward FuNK to see how you do. Credit to you for tackling the unusual. Happy new year to all out there! 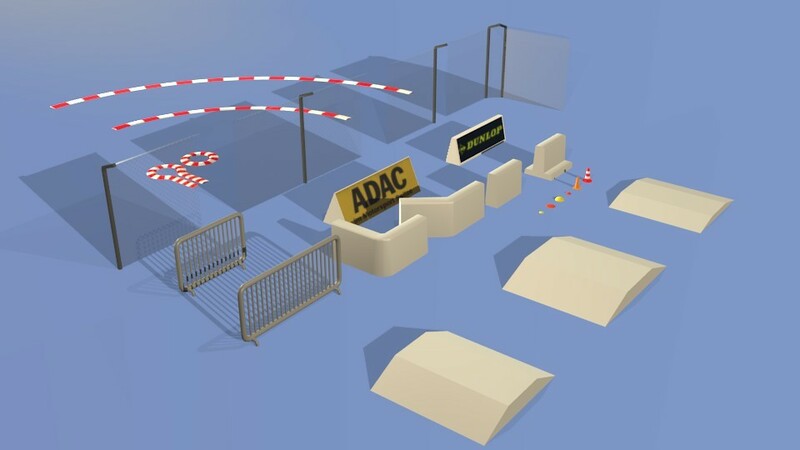 By the way: Someone willing to do some simple tracks for R/C cars!? great previews! really like the track already! What's needed to change with the tires to make a representative of a slightly larger wheel (~25%)? I'm asking because I've put my model into the game and change some bits and bytes at the TBC file (especially regarding the diameter) but only get strange results. For instance the car is slowly drifting over the ground but one can't drive the car (in other words you can throttle but the wheels just turning around without any effect). If I then increase the ride high in the setup the behaviour disappears. Anyhow the tire size seems to be wrong because the wheels are clipping with the ground - no matter what size I enter in the TBC. Because the AI uses a simpler physic system this effect doesn't appear on AI driven cars, even tire size and ride seem to be "ignored" and therefore work without any visible issue. So my guess would be that the problem can be solved somehow with the new tire physics. EDIT: two pictures to illustrate what I was trying to describe above. Additionally I missed to say that steering is not really possible and the car seems to have no grip on the front axle...again this is better when I increase the ride high but is not the solution for the original issue.